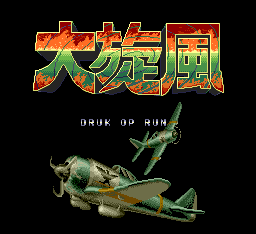 Daisenpuu is a Japan-only action shooter game for TurboGrafx-16/PC Engine. 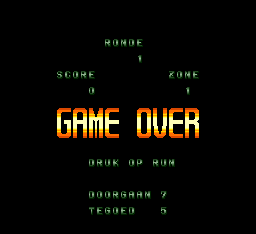 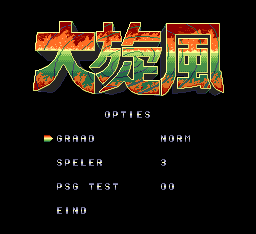 Translation to Dutch for “Daisenpuu” for the PC Engine/Turbografx-16. 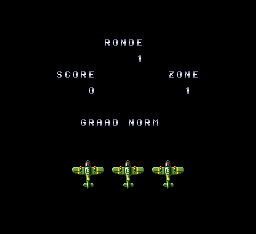 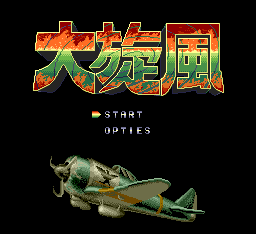 In the West this game title was released as Twin Hawk in the arcade and various game consoles.